Storms Freya and Gareth brought widespread disruption across the UK during March. Heavy winds and rain resulted in trees being blown down, rivers bursting their banks and homes being damaged. Travel plans were thrown into chaos, sporting fixtures were cancelled and some homeowners had to carry out expensive clean-up operations. Truck drivers, and motorists in general, also faced a hellish time as the storms lashed the road network. The combination of torrential rain and strong winds meant drivers had to be alert when they got behind the wheel. 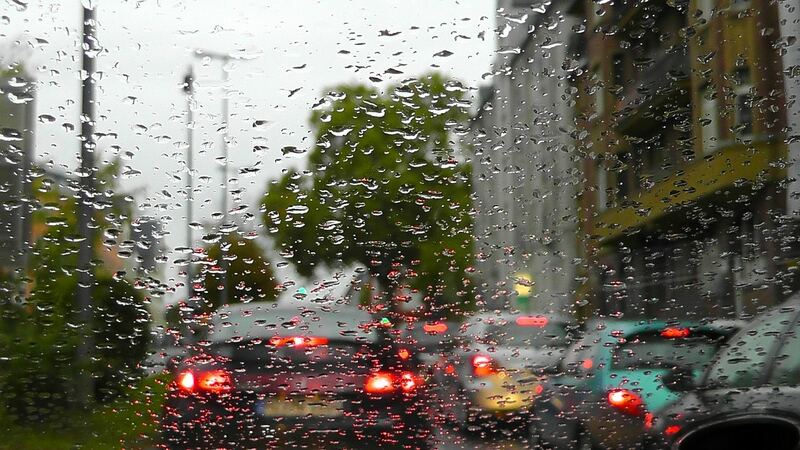 The UK can experience stormy conditions throughout the year but driving in stormy weather is not a pleasant experience. The rain is hammering down, you have your window wipers on full and you can feel your vehicle swaying from one side to the other in the wind. Given the choice most people would rather try and negotiate Brexit than drive through a storm. However, help is at hand. Here are Mac’s Trucks five tips for driving safely in a storm. Storm Hannah will be the next storm to strike the UK. When that will be remains to be seen, but as drivers we should always be prepared to take appropriate action and be ready for all eventualities. If you are a long-distance lorry driver you need to be aware of the weather throughout your journey. Listen to the radio for weather and traffic updates, plan an alternative route if your journey is likely to face disruption and let people know your plans. In case you do face a substantial delay, ensure you have plenty of provisions on board like food and water, extra layers and a mobile phone charger. However, the smartest piece of advice comes from Frankie Goes To Hollywood, which is “Relax, Don’t Do It!” If the forecast looks grim, stay off the road. Stormy conditions can make a mug out of even the best drivers. Take your foot off the accelerator and concentrate fully on the road ahead. An unexpected gale can grab hold of your box van or removal van and severely impair your braking and handling. Reducing your speed ensures you can react quickly when a sudden gust whips your vehicle and greatly improves your chances of avoiding disaster. You may be the most conscientious driver around and can spot potentially dangerous situations brewing three moves ahead, but not everyone has that skill. Some drivers are oblivious to the dangers of surface water, high winds and heavy rain. Despite the weather they continue to pelt down the motorway over the speed limit. However, you can still do your part to make sure motorists stay safe and the traffic keeps moving. Put on your hazards if you see a flooded section of road up ahead or a tree has crashed down, give cyclists extra room when passing, look out for motorcyclists and keep your distance from the vehicle ahead. Travelling when the visibility is dreadful and your vehicle is being thrown around by the conditions can be pretty scary. However, it is imperative that you remain cool, calm and in total control. Put your window wipers on full, always keep both hands on the wheel and know what’s going on around you. Also, try not to oversteer your vehicle. Reduce your speed and gradually manoeuvre your vehicle around corners and bends. Of course, if the weather is that bad you can always find a safe place to stop until it dies down. Ultimately, make sure that your life in not in danger. Stationary vehicles are just as likely to be damaged in a storm than those travelling. Again, it all comes down to your surroundings and common sense. Trees, telephone lines and sometimes buildings can come down in stormy weather. When it comes to resting up, try and avoid areas where trees or phone lines could land on your curtainsider or tipper. If you are in the market for a quality used truck, contact our sales team on 01422 311999 today.